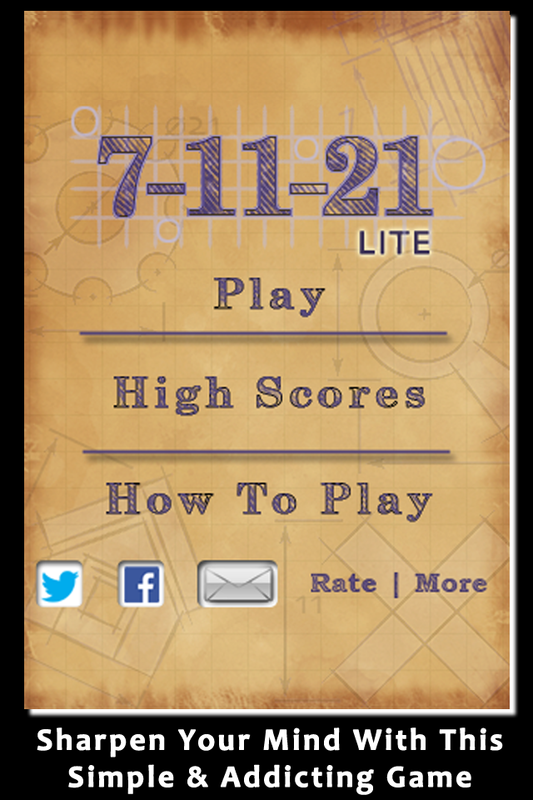 Have fun and workout your brain with this easy to learn yet addicting game. Choose 3 or more numbered tiles that are next to each other and add to 7, 11, or 21 before any tiles reach the top. Download it now for free! Fun game - Gets the mind movin. Great game. Exciting - Like to keep my mind active, this game is good for that reason.